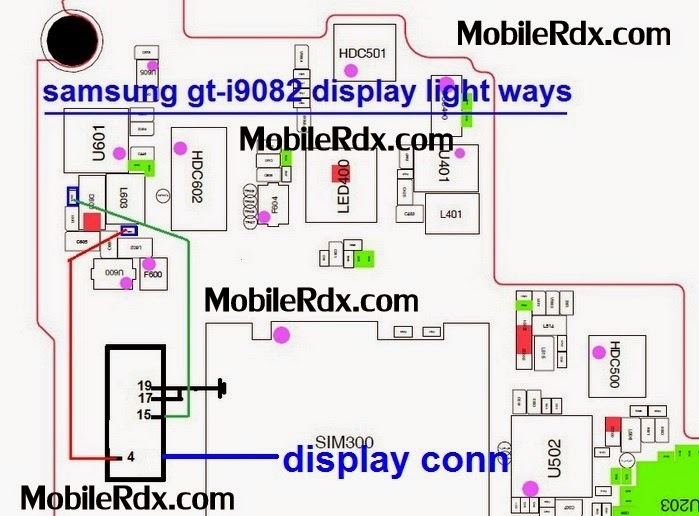 Here’s a solution for Samsung Galaxy Grand Gt-I9082 display problem such as white or empty screen, blue screen display that is not caused by an LCD screen module or the flash firmware. his solution below shows theline paths of the samsung i9082 LCD scree display connection. You can use it for quick tracing and check-up procedures. By using the solution above , you may check each of the corresponding display connection line paths. And then replace or mend to reconnect an open circuit to fix the Samsung I9082 display display problem. Please note that although every diagram and solution posted on our website has been tested by one or more members of our team before posting,so we will not be responsible for any loss or damage, including personal injury.Use this repair solutions at your own risk.